Tanzania is home to Serengeti National Park and Ngorongoro Crater; and this fact alone makes a solid case for declaring it Africa’s best safari country. But, of course, there’s much more that just these two places. Most visitors stick to the famed Northern Circuit – and why not? Besides the aforementioned destinations, with their unbelievable density of Big Five species and sublime beauty, this amazing region around the gateway city of Arusha also includes Tarangire (huge dry season herds) and Lake Manyara (flamingos, tree-climbing lions and Rift Valley scenery) national parks which are awesome in their own right. And when you consider all the other options available to mix up your African experience – scuba diving and beach bumming on Zanzibar; mingling with proud traditional tribes like the Maasai, Barabaig and Sandawe; and climbing Mt Kilimanjaro, to name a few – it becomes clear why it doesn’t get any better than Tanzania. With its abundant wildlife, excellent species diversity and evocative acacia- and baobab-studded landscapes, Tanzania is one of Africa's most rewarding safari destinations. Most of the country's main parks are easily accessible via paved roads or regular flights, and have a good range of facilities. The political situation is generally stable and Tanzanians have a well-deserved reputation for the warm welcome they extend to visitors. The main option for exploring most parks is with a vehicle, although opportunities for walking and cycling (mostly in wildlife areas bordering the parks) are steadily increasing. Vehicle safaris are generally not self-drive, but rather arranged through a safari or tour operator and with a driver. Night drives are possible in only a few parks. The main negative associated with a Tanzania safari is the cost. High daily park entry fees, high accommodation prices and fuel costs quickly add up. Despite this caveat, I wholeheartedly recommend Tanzania as a safari destination, for both first-time and seasoned safari-goers. There are few areas of the continent that offer the amount, variety and accessibility of wildlife that Tanzania does, against such a scenic backdrop. And, the country's three distinct safari 'circuits' - northern, southern and western - are each unique in terms of animal populations and topography. As an added benefit, Tanzania's coastline is wonderful, with idyllic islands and beaches that serve as a satisfying post-safari respite. For me, Tanzania is a country of two halves. Both hemispheres have been richly endowed with natural beauty and plentiful wildlife, but there are some big differences when it comes to the type of safari experience you’re looking for. The northern safari circuit takes in the world-renowned Serengeti migration, exclusive Grumeti, iconic Ngorongoro Crater, elephant-rich Tarangire, Africa’s highest mountain (Kilimanjaro), scenic Lake Manyara and the historical and cultural hub of Zanzibar. These diverse attractions make for an incredible safari itinerary in a wildlife-rich region synonymous with natural beauty and animal sightings of the highest order. There is good reason why everyone, including myself, raves about the wildlife viewing, lodges and safari experiences on offer in northern Tanzania. While you are unlikely to have the place all to yourself, especially at migration time, a safari around the northern circuit delivers a phenomenal wildlife experience at any time of year (except for rainy April). While the northern circuit is the more illustrious, I’m a strong advocate for exploring the south. The southern half of the country is far less visited and espouses a powerful sense of wilderness and wildness. The more remote south is the place experienced African safari connoisseurs escape to in search of wildlife without the crowds. Your logistics and travel arrangements might be more complicated, but your safari will be well worth the extra effort as you unlock some true African gems. From the huge wilderness expanses of the poaching-ravaged Selous to the massive herds that roam across Katavi and the Ruaha-Rungwa ecosystem, this is an extraordinary region indeed. Primate-lovers should include a visit to Gombe Stream or the Mahale Mountains to see habituated chimpanzees, rounding off an incredibly memorable safari extravaganza in an amazingly diverse country. Tanzania is a wildlife photographer’s dream come true – even for wannabe National Geographic photographers like me. With one of the world’s largest and wildest animal populations, the country offers some of the best safari opportunities on the continent. Zebra, lion, elephant, antelope, flamingos, wildebeest, giraffe, cheetah, chimpanzees – you’ll find them all here. So don’t forget to pack your camera, some extra batteries, spare memory cards (or film if you still use it) and your charger. The Serengeti National Park with its wide expanses of grassy plains and heaving annual migration is just the start. Nearby, Ngorongoro with its natural amphitheatre walls is home to some of Africa’s densest large mammal populations, while Lake Manyara is famous for its tree-climbing lions and flaming pink flamingos. All though form part of the well-trekked Northern Safari Circuit and are popular tourist hotspots. In peak season (July-August) it can get crowded with packs of khaki-clad tourists in safari vehicles jostling for position. But don’t let this put you off; all will surpass your wildest expectations as they did mine. If you want to escape the tourist treadmill head south where you’ll find relatively untrammelled parks like Ruaha and Mikumi which still offer plenty of big game viewing albeit in less abundance to their northern counterparts. The southern safari circuit was in fact a major highlight of my last tip to Tanzania. Alternatively, head west where you can track chimpanzees in the thick forests of the Mahale Mountains and Gombe National Park, where Jane Goodall carried out her groundbreaking research. I’m still yet to personally tackle the parks in the west, but they’re high up on my bucket list. When you do manage to lower your viewfinder, you’ll find there’s much more to Tanzania than famous parks and abundant wildlife. There’s Africa’s highest mountain, the majestic snow-capped Mount Kilimanjaro, vibrant, bustling towns such as Tanzania’s safari capital, Arusha, and, my personal favourite, Mwanza on Lake Victoria, pristine sandy beaches and stunning coral reefs. Not to mention a handful of irresistible islands including the mythical Zanzibar with its labyrinthine old Stone Town, ruined palaces and Persian baths. With so many choices on offer, the hardest thing is trying to fit everything in… Oh well, that just gives me another reason to return. There is arguably no better safari destination than Tanzania. And, to be honest, I’m not even sure I should be using the word ‘arguably’ here! Tanzania’s superb network of wildlife reserves is the most extensive in Africa, collectively covering a quarter of the country’s surface area, and harbouring around 20 percent of the continent’s large mammal biomass. It includes the justifiably renowned Serengeti National Park, the centrepiece of the world’s largest migratory ecosystem (around two million wildebeest and zebra, along with a well fed entourage of lion, cheetah, leopard, hyena and various smaller predators) and lynchpin of a northern safari circuit that also incorporates the superlative Ngorongoro Crater (the world’s largest intact volcanic caldera) and pretty Lake Manyara National Park, with its giant tuskers and tree-climbing lions. 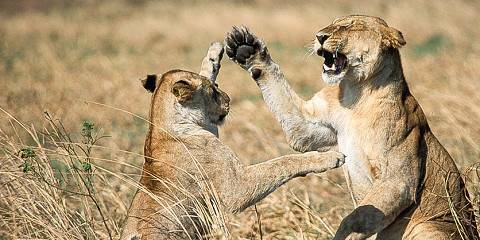 Incredibly, however, Tanzania also hosts two entirely separate safari circuits of world-class quality. The centrepiece of the under-publicized southern safari circuit is the vast Selous Game Reserve, which supports the world’s largest surviving populations of elephant, buffalo, lion and African wild dog, and is often visited in conjunction with the even more untrammelled Ruaha, whose wild baobab-strewn landscapes are now protected within the country’s largest national park. Then there is the western safari circuit, where the underrated Katavi National Park , home to large numbers of lion and elephant, is complemented by the forested Mahale Mountains and Gombe Stream National Parks (the latter made famous by Jane Goodall), which host typical central African forest species, including habituated communities of common chimpanzee, man’s closest relative. As if that weren’t enough, this compelling country is also the home of the world’s highest freestanding mountain in the form of Kilimanjaro (which straddles the border of Kenya but is climbable only from the Tanzanian side), as well as the alluring ‘spice island’ of Zanzibar with its postcard perfect beaches and atmospheric Stone Town, and portions of Africa’s three largest lakes, Victoria, Tanganyika and Niassa-Malawi. Better still, the Tanzanian people – drawn from more than 100 tribes, including the iconic Maasai, but united by the lingua franca of Swahili and a national ethos promoting tolerance and peace – are simply a pleasure to be around. Having travelled all over the continent, people often ask me: “What is your favourite country in Africa?” It is a silly question, but it is easier just to give an answer than to start to explain about what makes each country special and unique. My answer is usually Tanzania. Its northern safari circuit is reminiscent of Kenya, but on a bigger scale. The lesser-known southern and western circuits are like different safari destinations in their own right. The combination of grandness and diversity in Tanzania is unrivalled. The Northern safari circuit must be the most classic safari destination in Africa. Leaving Arusha, on a 2 week driving safari, you’ll reach Lake Manyara after a couple of hours – and from this point you’ll be in game reserves almost uninterrupted until you return to Arusha at the end of the trip. 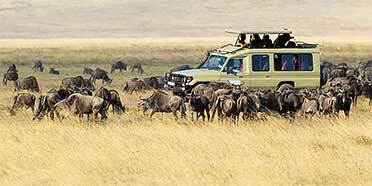 The Ngorongoro Crater is on the circuit, and is a must, but the star attraction is Serengeti National Park. I love driving the long stretches between the different sections of the park. That is when you get a real sense of this eco-system’s vastness. Why fly if every drive is in effect a game drive? I prefer to leave the busy Seronera area behind, and head to for the remote, un-touristy Western Corridor, or the far north bordering the Masai Mara. Such an amazing safari circuit would be great in its own right, but Tanzania has two more. The southern circuit, including Selous, Ruaha and Mikumi, is much less visited than the north. Here you get a real chance of seeing wild dogs and some of the less common antelopes like lesser and greater kudu. The southern parks also offer walking and boat safaris, which are exciting additions to your standard driving safari. The third circuit contains the two chimp-tracking parks on the shore of Lake Tanganyika. This is the best place in Africa to get close to these amazing primates. Chimpanzee tracking in Mahale is usually combined with a classic safari in the remote Katavi National Park with its seasonal rivers teeming with hippos and crocodiles. I am fully aware that I have given Tanzania a perfect score but with reluctance (because I grew up in Zimbabwe and therefore feel disloyal in saying this) I have to vote Tanzania my top favourite, absolute perfect game-viewing country in Africa. It truly has everything from turtles to chimps, plus, of course, massive headlining glories such as the great migration of the Serengeti, the awesome Ngorongoro Crater and Africa’s highest mountain, Kilimanjaro. Then throw in the rich eco-systems of the Rift Valley lakes and the rainforest belts they support, the mangrove swamps and coastal dunes along the Indian Ocean and you have an extraordinary diversity and quite magnificent scenic spectacle, supporting a staggering array of flora and fauna. And every single superlative is justified. 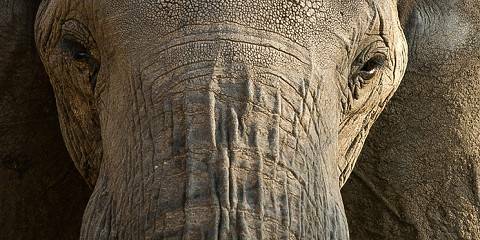 Around a third of the country is given over to conservation, and around 20 percent of all the large mammals in Africa are found in this one country. Things aren’t entirely perfect. The infrastructure of the whole country leaves something to be desired and the parks service is no exception. There are superb top-end lodges, but relatively little further down the price scale, so good affordable safaris are hard to find. Transport also becomes a real issue with long distances and 4x4 a necessity. And park fees are high, though not quite at Kenyan rates. Another huge plus point, although nothing to do with the wildlife, is the charm of the Tanzanian people. All in all, an ideal safari destination or if you want a change of pace, try a ‘surf and turf’ – with a safari and a trip to the beach along the coast or on Zanzibar, Pemba or Mafia Islands. Most itineraries in Tanzania are designed around the world-famous Serengeti and the Ngorongoro Crater, and for good reason. The fabulously impressive African landscapes and sheer concentration of game are the reasons they’re so popular, where I for one have always had incredibly rewarding sightings of the Big 5. The other lesser known Northern Circuit parks are rewarding in their own right too, and I particularly like the baobab-strewn Tarangire with its excellent elephant-watching. With far fewer tourists compared to the north, the camps in the enormous reserves of the Southern Circuit tend to be seasonal, far apart and can only be visited on fly-in safaris or long road trips. The reward for me though is going on secluded game drives in vast areas of wilderness, which is refreshing from the sometimes crowded game circuits of the Serengeti. Equally difficult to get to are Gombe Stream and Mahale on the shores of Lake Tanganyika, but they offer the few opportunities to see chimpanzees in the wild today, and their habitats are more reminiscent of Central Africa. I always advise that careful planning is needed regarding when to go to Tanzania; the untarred tracks within the parks can be horrendously dusty in the dry season and alarmingly slippery in the wet, and being in the Serengeti at the right time to see the wildebeest migration is notoriously difficult to judge. Safari accommodation too needs a little bit of consideration; Tanzania offers a terrific range from tiny tented camps in sublime locations, to lodges that may seem overly large and busy, but are better suited for families and first-time safari goers. The great advantage of going wildlife-watching in Tanzania is the ‘add-on’. In contrast to the flat plains, thousands of visitors each year achieve the summit of Mount Kilimanjaro, and in my opinion, you just can’t beat a few days relaxing on a Zanzibar beach after the rigours of a road safari or mountain trek. With almost a quarter of this vast country dedicated to wildlife reserves and national parks, Tanzania is justifiably regarded as Africa’s premier safari destination. It’s one of my favourite countries, not just for the bush, beaches and big peaks, but also for the genuine warmth and friendliness of its people. The parks themselves are as diverse as the wildlife that lives in them. The famous Northern Circuit covers the world renowned Serengeti, where frenzied wildebeest gallop across the plains on their annual migration; the dramatic Ngorongoro Crater, home to around 30,000 animals; and the often-overlooked yet pretty Tarangire and Lake Manyara national parks. Then there’s the Southern Circuit, much more of a wilderness experience than its northern counterpart. Spanning 45,000 sq km and roughly the size of Switzerland, the Selous is the largest game reserve in Tanzania (and in Africa), followed by Ruaha, one of the most scenically beautiful parks in the country. Any lovers of chimpanzees should head to Gombe Stream National Park in the far west, made famous by renowned primatologist Jane Goodall. And close to the Malawian border lies a botanist’s paradise, Kitulo National Park, the first park in tropical Africa to be created to protect its flora that includes 350 different types of plants, of which 45 are orchid species. No summary of Tanzania would be complete without a reference to Kilimanjaro, which attracts over 35,000 trekkers every year. I climbed it in 2000, loving (almost) every minute of it and as my first high-altitude peak, it holds special memories. Technically, it’s like climbing an enormous hill, but its altitude of nearly 6000 metres makes it a huge challenge. Don’t underestimate this – go at a slow pace and drink plenty of fluids to increase your chances of success to the summit. Although the fifth highest peak in Africa, another less-climbed summit is Mount Meru in Arusha National Park, with wonderful views of Kili from its summit. At 4565 metres and taking only 3 days, it may seem an easy option but I hadn’t expected its unrelenting steepness – it’s the short, sharp shock of Africa’s Big Five mountains. Again, don’t underestimate it! To recover from your efforts on safari or trekking, there are plenty of gorgeous Indian Ocean beaches. If you prefer less developed places, try the islands of Mafia or Pemba – the beaches may not be quite up to Zanzibar’s standards but the crowds are fewer and the pace of life is beautifully slow. Mafia is also an ideal place to swim with whale sharks – a truly special experience. Alternatively, head to Rubondo Island on Lake Victoria – you wouldn’t want to swim in the croc-infested lake, but you can go tiger-fishing, bird-watching and track chimps in this Noah’s Ark of a nature sanctuary that’s home to giraffes and elephants too. Tanzania may be one of the world’s poorest countries but its national parks and game reserves are the crown jewels of Africa. First among equals is the Serengeti, probably the most famous wildlife refuge on the planet, a wilderness the size of Holland renowned for its lions and great migration of wildebeest and zebras that spend every year chasing the rains across its endless savannahs. It fits perfectly into the northern safari circuit along with three other fabulous big game sanctuaries: Lake Manyara, Ngorongoro Crater and the hugely underrated Tarangire national park. Wilder still are the great animal strongholds of Tanzania’s southern circuit. The Selous is Africa’s biggest game reserve and the best place to go for the thrill of seeing wild dogs, while the Ruaha is even bigger than the Serengeti and a huge favourite with lion junkies like me. Wildest of all is Katavi, well worth going the extra mile to see, as are the chimps of Gombe Stream on the idyllic shores of Lake Tanganyika where Jane Goodall carried out her ground breaking research into the behaviour of these, our closest wild cousins. And after a week or two of life in the bush, where better to wash off the dust than on the coral sands of Zanzibar or the unspoilt islands of the Mafia archipelago? Tanzania as a safari destination has it all: if this is your first safari and your driving ambition is to get some amazing sightings and to rack up the big 5 as soon as possible then Ngorongoro Conservation Area is probably the best place in the world. Head for the Serengeti, however, if you have time for a longer safari and your goal is to take time to roam – moving as a nomad with the vast herds, or simply skitting across the savannah between the rock outcrops that are the lookout posts of the Serengeti prides. The Serengeti remains for me (alongside Botswana’s Kalahari) as one of the very best places in the world to experience the awe-inspiring vastness of the African wilderness. There is no feeling like being in the middle of the incomparable immensity of the savannah with no other vehicle in sight and a herd of wildebeest stretching as far as the eye can see towards the horizon. While Kenya may be the African destination most synonymous with safaris, Tanzania – its larger neighbour – boasts Africa’s single most famous park, and arguably offers even more than Kenya in terms of variety and quantity of wildlife. The scale and wilderness of its magnificent landscapes suggests a endless world of possibilities, and after many years enjoying safaris across the continent it is certainly the country that I most want to explore. The famous park is, of course, Serengeti, which hosts the vast annual migration of over one million wildebeest and other herbivores, plus a bonanza of other wildlife. It forms the centrepiece of the country’s celebrated ‘Northern Circuit’, which also includes Ngorongoro Crater, Lake Manyara and Tarangire, each a spectacular wildlife destination in its own right and easily combined within a single package tour. The ‘Southern Circuit’ was less well known until relatively recently but now offers numerous exciting safari options. Based upon the Selous – a vast park even larger than the Serengeti, where activities tend to centre on the Rufiji River – this circuit also takes in Ruaha and Katavi, remote destinations that are more the home of the exclusive lodge than the package safari. Here the bush is very different from the open plains of Serengeti and wildlife highlights include wild dog. As well as its famous game reserves, Tanzania offers some unique attractions all its own. There are the forested shores of Lake Tanganyika – home, at Mahale and Gombe, to Africa’s best chimp tracking; the snow-covered summit of Kilimanjaro, for safari-goers who need to stretch their legs (and lungs) after a week in a Landrover; and the beaches of Zanzibar and other Indian Ocean islands, on which to kick back and wash off all that safari dust. I still remember the first picture of Africa I saw when I was a kid. Vast, stretching plains of undulating yellow grass, broken only by flat-topped acacia trees and the odd strolling giraffe, all set beneath the dome of a perfect blue sky. Well here’s the good news – it really does exist. Tanzania can guarantee immersion in the quintessential African landscape immortalized in a million films, album covers and cheap aftershave advertisements. The country is divided into two distinct areas, or ‘circuits’. The Northern Circuit is the better known and most-visited of the two, consisting of the area surrounding the town of Arusha. The Northern Circuit’s main draw is the massive Serengeti ecosystem, encompassing the Ngorongoro Crater Highlands, which is one of the biggest remaining animal migration routes in the world. I love the Northern Circuit and would definitely recommend it to a first-time safarigoer, but I also always try to persuade people to get to the lesser-known Southern Circuit - the Selous Game Reserve and Ruaha National Park. Both of these are wild, remote and harder to get to than the northern parks. But some of the best safari experiences of my life have taken place in the south – the landscape is very dramatic, tourist numbers are much smaller and the lodges and camps have a personalized, ‘boutique’ feel. Even more remote than the Selous and Ruaha wilderness areas are Katavi and Mahale national parks in the west of the country. Mahale, only accessible by boat, offers the chance to watch the wild chimpanzees that inhabit its dense forest. Katavi, by contrast, offers wide open plains full of huge herds of buffalo and antelope, alongside rivers heaving with hippos and crocs. If you’ve got the time and the money, the west of Tanzania is a hidden gem you’ll share with only a handful of other visitors. Tanzania is everything you ever thought Africa would be. Perhaps nowhere else on the continent has such huge expanses of animal packed savannah grasslands or areas of wilderness where it’s still possible to imagine how East Africa looked a hundred years ago. The Tanzanians know they have some of the finest wildlife terrain on the continent and have devoted a huge amount of land to wildlife preservation and developed an impressive array of safari facilities. There are stunning and exclusive lodges, some of the best wildlife guides in the business and an array of ways to enjoy this wilderness be it on foot, by hot air balloon or a customised safari jeep. Tanzania is big enough (it covers 947,000sq km2, which isn’t that far off double the size of Kenya) that you need never be bothered with a crush of other safari tourists. Even in the Serengeti; the one park that everyone visits, it’s easy to have great swathes of grassland almost completely to yourself while in lesser visited areas you can relish the wilderness vibe. Not just is Tanzania big, but it’s also a very varied country. As well as the classic savannah country there are endless stretches of light woodland, rainforests buzzing with bright birds, mountain meadows criss-crossed with hiking trails and some of the most breathtaking beaches in Africa. Tanzanian safari tourism can be divided into three neat circuits. Far and away the most popular is the northern circuit which concentrates on the world renowned Serengeti, Ngorongoro, Lake Manyara, Tarangire and Arusha national parks as well as Mt Kilimanjaro, the loftiest peak in Africa. A safari in this area will give you the full portfolio of classic East African safari experiences: massive herds of migrating wildebeest, luxurious lodges, lions on the prowl, huge herds of elephants and red-robed Maasai and their cattle kicking up the sunset dust. The next most popular area is the southern circuit taking in the hot, dry, baobab studded countryside of the south. It’s all a lot wilder down here – and bigger – parks such as the Selous and Ruaha could swallow some countries. There’s some spectacular wildlife as well including huge numbers of elephants (although numbers have recently been dramatically reduced in Selous due to uncontrolled poaching in some parts) and rivers full of hippos and crocs and, for those who like to feel and touch the bush as well as just see it, some of the camps down here run excellent walking safaris. Finally, there’s the little visited west of the country. Katavi National Park is stuffed full of elephants, lions and mud pools bubbling in hippos yet it receives a fraction of the visitors of the Serengeti. For me though, the best thing about a safari out west is chimpanzees. Mahale Mountains and the Gombe Stream national parks are, arguably, the two best places on the planet to see habituated wild chimpanzees and nobody who goes to the (quite considerable) effort and expense of visiting these two parks will likely regret it. But, good as it all is, there’s a catch. Tanzania is one, if not the, most expensive country in eastern Africa to go on safari in. Yes, by joining an organised budget camping safari in Arusha you can see the wonders of Tanzania for a price that’s affordable to mere mortals but if you want any kind of exclusivity (and to really get the most out of a safari you do need to aim this high) then you’re going to pay considerably more for it than in say Namibia, South Africa, Zambia or even Kenya. For me though, despite the expense, Tanzania will always remain the best place in Africa for the classic safari experience – and the beaches aren’t bad either! If I think about everything that I imagined safari to be before I moved to South Africa and began travelling Africa, it turns out that what I imagined was Tanzania. For me, the striking variety of landscapes and the staggering density of big game are in a different league to anything else I have seen in Africa so far. The Northern Circuit boasts what is surely the most celebrated park on the continent, the Serengeti, and few feelings will ever compare to the incredible moment when I saw a cheetah chase down a gazelle across the seemingly endless plains of this great wilderness, without another car in sight. Aside from playing host to the annual wildebeest migration, the Serengeti also boasts one of the largest lion populations in Africa. 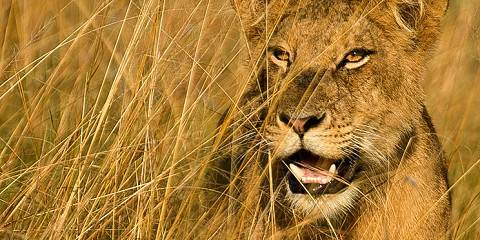 In fact, Tanzania is home to almost 40% of Africa’s entire lion population. Ngorongoro Conservation Area is equally special, with roughly 25,000 mammals coexisting with more than 50,000 Maasai in an area the size of a small city, albeit not in the most harmonious of fashions at times. Human wildlife conflict is a big and complex issue in Tanzania, but from a tourist point of view it can add yet another layer of intrigue to the experience. Lesser-known gems on the Northern Circuit include Tarangire, with its large elephant populations and baobabs, and the remote and other-worldly Lake Natron, which is home to two million lesser flamingos and is presided over by an active volcano known to the Maasai as ‘Ol Doinyo Lengai’, meaning ‘Mountain of God’. Speaking of mountains, Tanzania has its fair share. The unique, snow-capped Kilimanjaro is the highest in Africa, whilst the smaller Mount Meru is still a challenging four day hike and boasts great views of its big sister. As if that wasn’t enough, there’s Lake Tanganyika, the still-relatively-unexplored southern circuit, the chimpanzees of Gombe and then the island paradise of Zanzibar. All of this makes Tanzania a great “combination” destination, though bear in mind that it certainly doesn’t come cheap. Tanzania belongs among the elite of African safari destinations, and its northern safari circuit in particular is one of the best places on the planet to see wildlife. The northern parks are rich in everything there is to love about Africa – the massed ranks of migrating herds pursued by predators in the Serengeti; the lost and beautiful world of Ngorongoro; the kingdoms of baobabs and elephants in Tarangire; the tree-climbing lions of Lake Manyara. Elsewhere in the north, landscape trumps wildlife in the climb to the summit of Kilimanjaro, Africa’s highest peak and in the otherworldly volcanic Crater Highlands crowned by the shapely Ol Doinyo Lengai and given stark beauty by the flamingo-rich Lake Natron. The north’s accessibility and safari infrastructure also make it an ideal starting point for your first East African safari, although it’s such a wonderful experience (and there’s more than you can possibly see in a single visit) that the region is worth visiting over and over again. If Tanzania’s north is classic safari territory, the rest of the country is an altogether different experience. Wilderness dominates the wild west with the chimps of Gombe National Park and the wild, wild country of Mahale Mountains and Katavi. Down south, Ruaha National Park and Selous Game Reserve are massive protected areas with the largest lion populations on earth and with visitor numbers far lower than in the northern parks there’s an excellent chance that you’ll experience wild Africa in its raw and silent beauty. And then there’s the coast, so many long untrammeled kilometres of palm-fringed beauty watched over by so many languid towns and welcoming communities from the Swahili heartland. To crown it all, Zanzibar, at once classy escape from the rigours of African safari trails and sophisticated, spice-laden and stirring architectural showpiece that makes it a worthy destination in its own right. The Serengeti and so much more. Tanzania is “the” classic safari destination and should be top of every Africa lover’s wish list. The starting point for most visitors is the northern safari circuit, comprising the iconic Serengeti and Ngorogoro Crater, with Lake Manyara and Tarangire national parks en route. Having dreamt of going to the Serengeti and Ngorogoro Crater since I was a child, these destinations spectacularly exceeded my expectations, with jaw dropping scenery and a breath-taking abundance of wildlife. If you want to see the migration, make sure you go to the right area, at the right time of year – some short tours just go to the central Seronera region of the Serengeti and may miss the migration. Tanzania offers so much more than just this northern safari circuit. Less well-known is the southern safari circuit, which includes the huge expanses of the Selous and Ruaha national parks. Although, sadly, both parks have recently been the target of ivory poaching, they are still stunning, wild destinations with a fraction of the number of visitors. When I was last in Ruaha there were elephants everywhere! Tanzania also has other wonderful safari destinations, a little more off the beaten track. Katavi in the west has huge herds of buffalo and incredible gatherings of hippo in the dry season. Tanzania offers Africa’s best chimp sightings at Gombe and Mahale national parks. And if you tire of animal watching, there is Mount Kilimanjaro to climb and Zanzibar’s beaches to relax and recover on. Tanzania is a high-end destination – with luxury lodges and expensive park fees, although mobile camping safaris can provide a more budget option. The roads are notoriously bad, so if your budget allows, consider flying in to your safari. But despite this, just go – Tanzania is the stuff of dreams!